This article will explain how to broadcast your Traktor mix with Mixlr. This article is for using the Traktor S4 controller with Mac. Open Traktor on your machine. You can open the Preferences window by clicking the circular icon in the top right of the app, highlighted below. 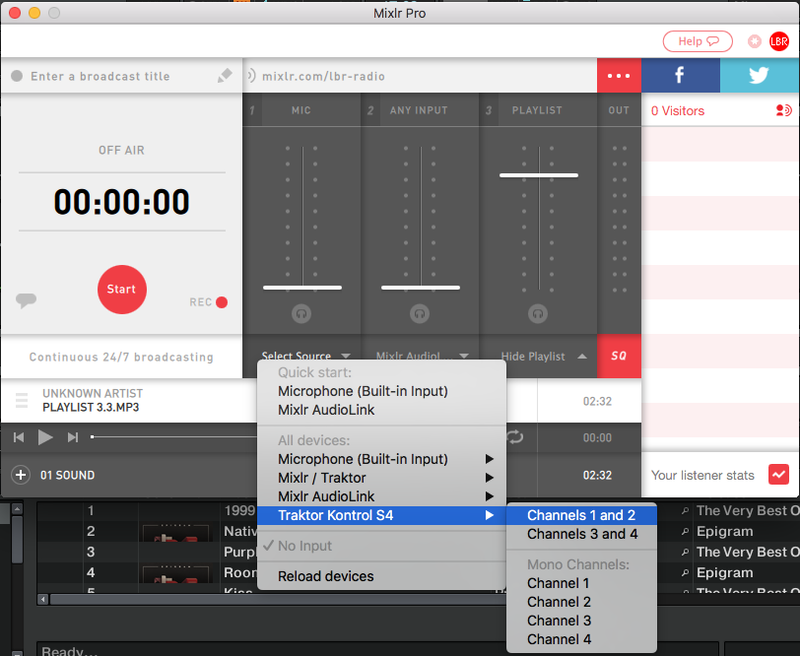 Because Traktor is sending audio to Output, and Mixlr is trying to receive audio from the Input, you'll need to set up some additional routing via your S4 controller. To ensure that the Traktor audio can be received in Mixlr, use phono to phono cables to route 'Main Out 1 and 2' to 'Input Channel C 1 and 2' on the S4. 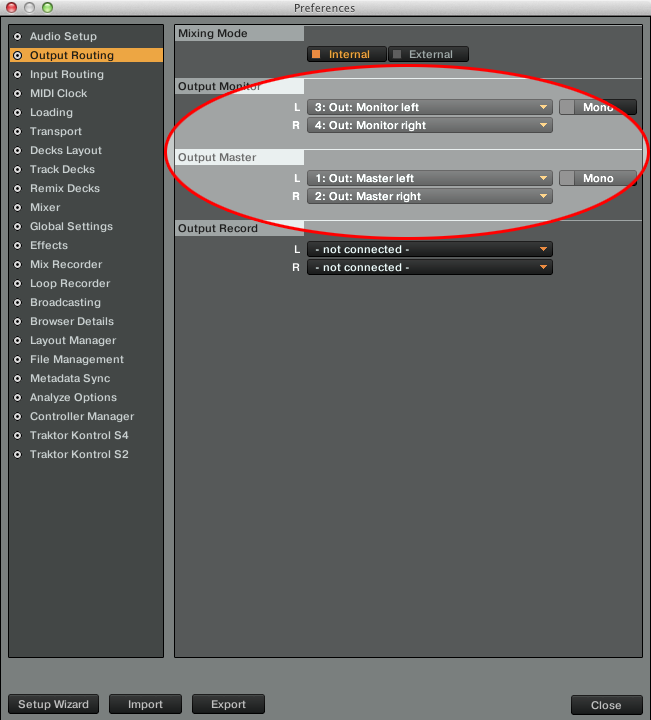 Use the remaining outputs in 'Main Out' to connect your speakers. 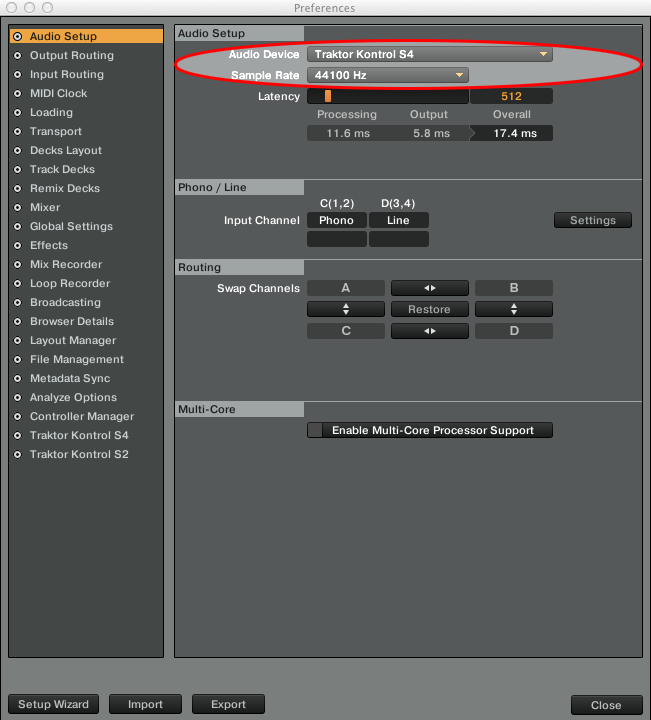 Click 'Select Source' for the MIC or ANY INPUT channel and select 'Traktor Kontrol S4 > Channels 1 and 2'.